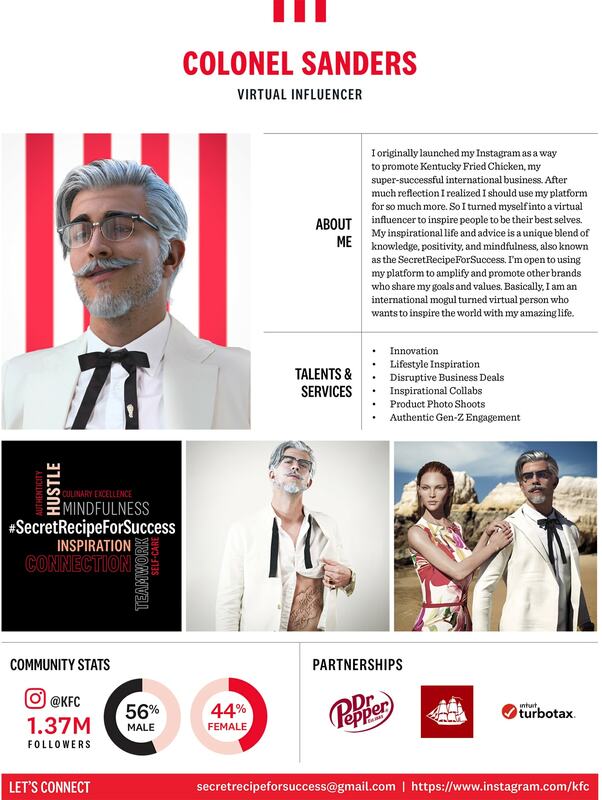 KFC and ad agency Wieden + Kennedy are getting in on the virtual influencer action with the spirit of the chain’s founder, Colonel Harland Sanders. But an influencer can’t have one client!? That’s no influencer! VI Harland needs some more sponsors to make that green. Hellz yeah! He just booked Dr. Pepper. Yeah, Coke‘s not gonna touch this shiz.